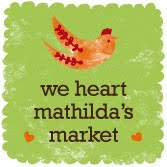 Ok, even though I didn't have a stall at the market last Saturday I still went for a little peek. I am glad I did as I usually don't have time to walk around and see all the other beautiful stalls. I caught up with a few familiar faces. I took my camera with me but unfortunately it decided not to work so I had to make do with my phone, the photos aren't great. Check out the pics below. 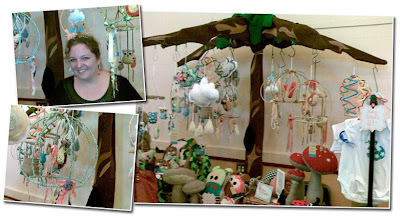 Sarah from Gifts Created was there, we have been at a few markets together now. She had her fabulous new tree displaying all her gorgeous stuff. Siobhann is another lovely stall holder that I have also been to a few markets with. She has really funky boys stuff. Her label is called Young Rockers. She doesn't have a website but if you want to contact her you can email her here! After chasing Wynona down at someone else's table we had a bit of a catch up which was nice. 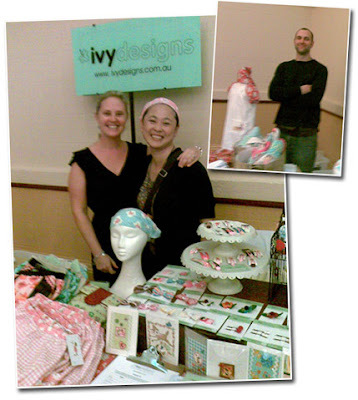 I had to get in on the photo action and I also managed to get a photo of Mr Ivy Designs! The only purchase that I did on the day was from Ivy and I will show you as soon as I get my camera working. 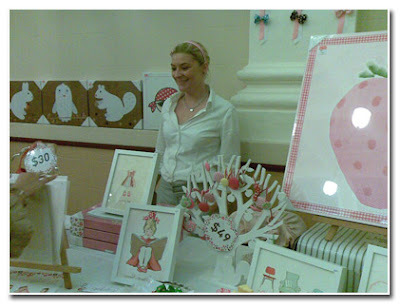 Another stall holder without a website that i keep popping into is Alicia. 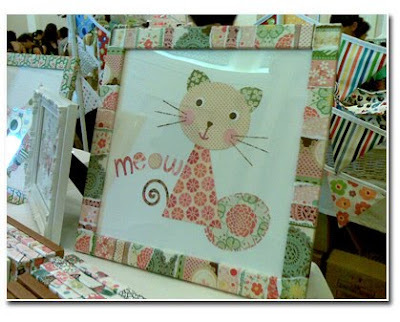 She makes adorable wall art for children. You can contact her here. I also met someone new (for me anyway) that I had a bit of a chat with, Vanessa from gelati art, who makes lovely decor for boys and girls.